Gasoline prices throughout Montgomery County have been following the nationwide trend of falling, with prices at $2.50 or below becoming the norm. But a certain Sunoco station in Boyertown advertises a gallon of premium gasoline at a mere 17 cents! Unfortunately for bargain-hunting commuters, the station is no longer open for business. It is, however, able to be explored in all its 1920s glory at the Boyertown Museum of Historical Vehicles. The service station - whose office is outfitted with period furniture, a cathedral-style radio and a candlestick telephone - is just one of the artifacts open to museum visitors during normal operating hours (Tuesday to Sunday, 9:30 a.m. to 4 p.m.). But a unique opportunity to explore the museum&apos;s collection is available this Saturday, January 17, at the 50th Anniversary Golden Gala from 5-9 p.m. Member admission to the event is free; the cost for the general public is $10. "We have a very special evening planned," says Curator Kendra Cook. "Right here in the museum, we will have refreshments, light hors d&apos;oeuvres, as well as local beer and wines. The music will all be from the 1960s. We are running a trivia contest throughout the evening and capping things off with a champagne toast." The gala also includes the "reveal" of a newly refurbished classic car, which is currently under wraps like a large Christmas gift that somehow went unopened. "We are super-excited about that," Cook notes, nodding to the black canvas hiding a four-wheeled treasure underneath. "It is a perfect fit for our museum. It will be our crown jewel." The museum is very specific about its exhibits. The building that houses them is the former Boyertown Auto Body Works, so the contents reflect forms of transportation that were wholly or partly made in Pennsylvania. "The Boyertown Auto Body Works was preceded by the Boyertown Carriage Works, which has been here since 1898," explains Director Robert Dare. "Part of our mission is to save that craftsmanship." Spread across the 20,000 square feet of display space are vintage cars, wagons, commercial vehicles, electric cars, sleighs, high-wheeler bicycles and motorcycles, all with local pedigrees for either production or design. History buffs can see what is most likely the oldest gasoline-powered vehicle in the U.S., an iron contraption designed by a 13-year-old former apprentice in a carriage factory. Motorcycles that were recognized for setting speed records sit aside old-time delivery trucks and a weather-worn Conestoga wagon. A horse-drawn hearse reflects a solemn mood, but its Waterford crystal windows reflect artistic patterns that catch the light. "This is a Sears Roebuck car," Dare says, pointing out a jaunty buggy. "Shoppers ordered it by catalog, and once a month, a box of parts arrived from Chicago until the entire car had been shipped." "So it&apos;s ‘Some assembly required,&apos;" I note. 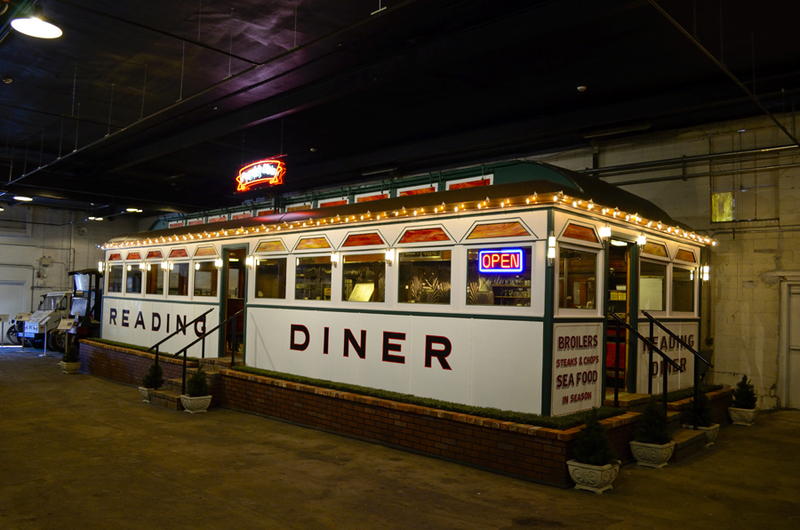 Alongside the period Sunoco station is the entire Reading Diner, refurbished to its gleaming chrome and polished wood splendor. 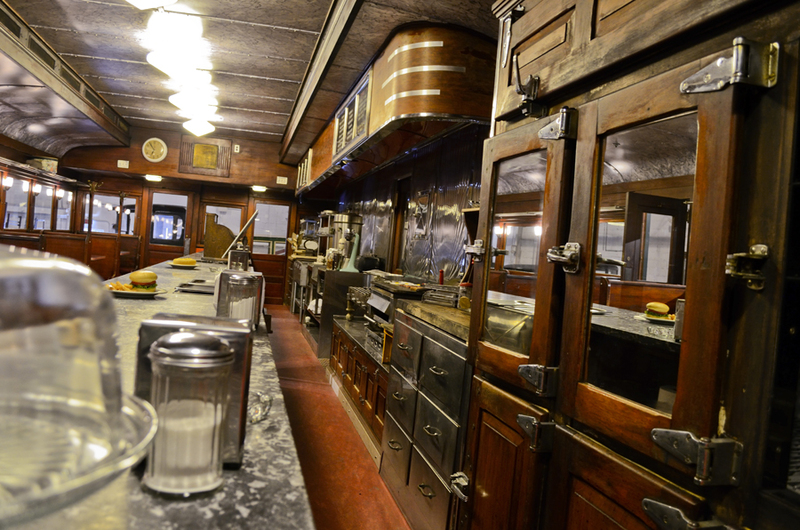 "This diner is from 1938," Dare says. "Twice a year, we have ‘Diner Days,&apos; where we invite guests to come and have a cup of coffee for a nickel and a piece of pie for a quarter. People line up to get in. When they sit at the counter, they will often wait for ‘their&apos; stool, wanting to recreate the experience of a certain seat they always took. Or couples will want a special booth. Kids love it. They&apos;ve never seen ‘fast food&apos; this way." The interior shows a checkerboard-tile floor and a list of menu items that includes lamb chops for 60 cents. The mainstay items at the museum are being augmented by special a special exhibit for the anniversary. Auto manufacturer ads from the fleet of 1965 models are on display, as they appeared in the pages of Look, Life, Redbook and other long-ago publications. The streamlined designs, luxurious travel and sporty looks evoke a whole different outlook on car travel, when comfort and power trumped gas mileage and efficiency. 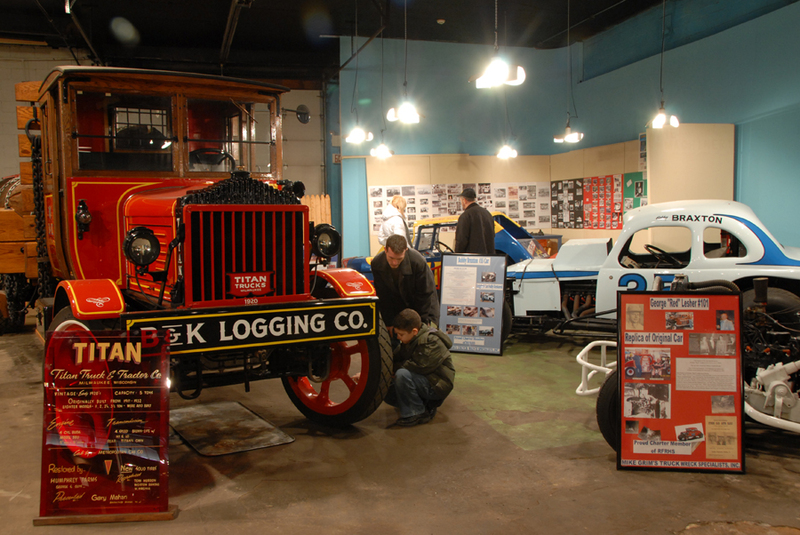 The Boyertown Museum of Historic Vehicles is a great wintertime escape from the cold and damp. But the chance to tour vehicular history during the anniversary party is especially alluring. Tickets to the January 17 gala at the can be reserved by calling Darlene Brunner at 610.367.2090 or emailing her. Part of the excitement of a trip by motorcar was the opportunity to stay over. After participating in the party in Boyertown, steer your wheels to one of our local hotels and pull in. Not to toot our own horn or anything, but the listings on our website are extra-special.